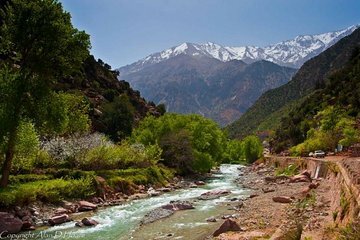 Get out of Marrakech for a day and into the quiet Ourika Valley in the High Atlas Mountains with this day tour. You'll get to visit Berber villages and cool off in the Setti Fatma waterfalls, with plenty of time to stop for photos. If you come on a Monday, you'll even get to stop by a local weekly souk.